Well done on your crochet efforts. 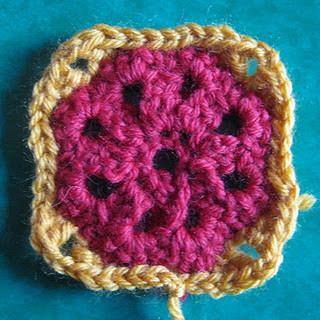 I didn't love crochet as much as knitting consequently I'm having a devil of a job re-learning. I'm determined to crochet something...you've inspired me to continue!! Definitely give it another go Pat, I am liking it much more than knitting and it seems a lot quicker than knitting to and easier to do patterns with.